Are you looking for a professional landscape company that specializes in landscaping for Baldwin County AL. Krob landscape services the Baldwin County area of southern Alabama and is the premier landscaper on the Gulf Coast, ready to transform your space into a foliage paradise. 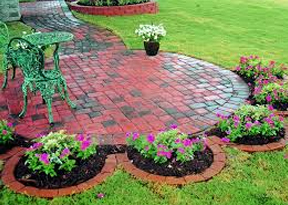 We at Krob Landscape have a talent for transforming any area into paradise. Krob Landscape specializes in landscape design, landscape ideas, pool landscaping and landscape maintenance. But it doesn’t end there. Krob is equipped to handle any type of residential and commercial landscape service and landscape installation in the Baldwin County area. Krob hires only the most highly experienced and skilled landscape designers in the business. The Krob landscape service team will listen to what you envision and make your ideas a reality with the most up-to-date technology in the landscape service industry.